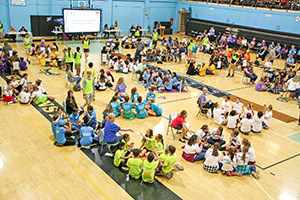 Battle of the Books is an exciting book-based competition. Students compete in teams to answer questions relating to the content of a number of books. The game format creates interest and excitement in reading, while cultivating teamwork, and encouraging good sportsmanship. 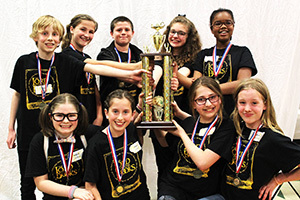 Battle of the Books grew out of the Learning Advantage Partnership between Carroll County Public Library and Carroll County Public Schools. Initially including grades 4 and 5 with a number of middle schools competing as well, it has since grown to include local private school and homeschool groups. The mission of the Battle of the Books is to encourage reading while highlighting Maryland Black Eyed Susan Book Award. Through their preparations, students are exposed to quality literature representing a variety of styles and viewpoints. Additionally, the participants develop reading comprehension skills and increase their vocabulary. All this is accomplished while having a great time! A huge thank you to our 2018/19 sponsors!